Discover the hero ingredients contained within this botanical range of products which all hale from the incredibly vibrant continent of Africa. The majestic Baobab tree is one of nature’s true wonders. Thriving in the harsh African Savanna, this prehistoric giant can live to be over 1000 years old and contains many restorative skin secrets within its fruit. 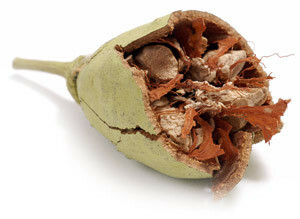 Bursting with antioxidants, vitamins and omegas, the Baobab offers a plethora of strengthening, soothing, softening, toning, hydrating and anti-aging properties. Is it any wonder this oil is considered a skincare favorite? Found in the harsh desert conditions of Southern Africa, this highly prized tree is a source of vitamin-rich oils, which are exotic, delicious and good for you inside and out. Your skin and hair will fall in love with this super-hero oil, largely due to its sky-high fat content which offers uber-hydrating, repairing, calming and firming properties, in addition to UV protection. What’s not to love! The Marula tree is the source of Africa’s miracle oil. Overflowing with fatty acids, antioxidants and vitamins, this oil has the ability to soothe, repair, hydrate and protect the skin. Marula Oil is also known for its nourishing and anti-inflammatory properties. To seal the deal this miracle ingredient can also be used to calm the skin and fight free-radical damage, saving your skin from wrinkles. This super fruit knows how to make skin happy. Kigelia Africana (Sausage Tree) yields a plethora of remarkable skin enhancing properties that leave skin feeling smooth, luminous and radiant. Naturally anti-inflammatory and packed with antioxidants, this super fruit has been shown to significantly improve skin elasticity while reducing wrinkles. It is also a powerful force in alleviating sunspots, melanomas and blemishes. No wonder it is such a superstar when it comes to skincare! This South African relative of Chamomile is extracted from wild blooms growing in the Fynbos of South Africa. Rich in therapeutic compounds and offering a beautiful aromatic appeal, Cape Chamomile is an excellent promoter of skin health. It is particularly soothing and effective in treating insect bites, acne, sunburn, sun rashes, extremely dry skin, nappy rash and eczema. This is a delicate treasure when it comes to skincare. Rooibos, also known as Red Bush, thrives in the wild on the Cederberg mountains of South Africa’s Western Cape. This top brew is brimming with antioxidants, vitamins and minerals. It also offers anti-bacterial properties and shows great promise in protecting against malignant sun damage. Best of all, it reduces visible signs of ageing. It is easy to see why this refreshing cuppa will quickly become your skin’s best friend.